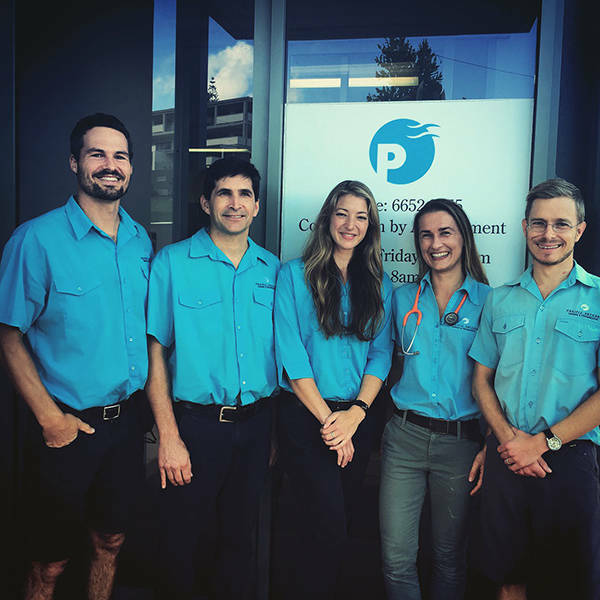 One of their clients said: "I believe the entire team at Pacific Vetcare deserve recognition for their amazing veterinary practice, creativity & for all being really really ridiculously good looking! We all know that it takes a team of vets and nurses to care for every patient with such love and dedication "
Pacific Vetcare is the perfect practice to take up Bondi Vet's mantle. It's got everything...truly great vets, a wonderful cast of eclectic and attractive characters, a mixed practice that also works with farm animals and wildlife and, for that Bondi feel, it's by the beach! I just love the way the team at Pacific Vetcare always manage to give me the perfect manicure! Every time! Awesome vets very personable and kind. They are amazing & give the best care for my puppy Bindi. Oh, & they are really really ridiculously good looking & they also have the best nurses. I cannot express enough thanks to the entire team at PVC, especially Dr Adam. He is the reason I had my first fur baby for 11years and now my second is ill and his treatment of her is beyond measure. And my fur babies love to go there! My border collie loves going to the Sawtell Pacific Vet. She did 3 sets of puppy classes there and gets excited when we arrive as we also have dog class at the same location. Highly revommend the helpful staff and service. And the excellent puppy classes they run! There's no doubt that the vets at Pacific vet care are hard working, dedicated professionals, but they also have a fun side! Every year they produce a hilarious video to promote some sort of important info for pet owners. They are veterinary legends & a vital part of our community! I drove all the way from Canberra to get my husky ruby desexed with Pacific Vet Care. We had the best experience and I would recommend the team to anyone for their vast knowledge and professional service. My Ruby is an anxious dog and difficult to examine, but Pacific Vetcare are always patient with her, and with me. Ruby gets great care and I get great advice on her health. Ruby's favourite is dr Kelly. Pacific Vetcare have an amazing group of talented Veterinarians and Vet Nurses. They all have hearts of gold and treat each patient with the best medical care. There's always a variety of medical cases and patients coming through the door everyday!